Since good communication is so important to effective leadership, it is important for any one in a leadership position to understand what the barriers to communication might be. In essence, anything that prevents understanding of a message is a barrier to communication. However, these barriers may not always be physical in form but can be psychological as well. Here are some common problems leaders face when trying to communicate effectively with other people both within and outside their team. Problems of perception - how we perceive another person can affect how we interpret messages from them; for example, someone who does not articulate clearly or who talks too fast and in a flustered way can cause us to dismiss them or anything they say as unimportant. Similarly, most people tend to listen uncritically to those of high status and dismiss those of low status. Problems of culture – a person’s culture, background and attendant bias and prejudices can affect their reception and interpretation of a message and interfere with the communication process. Problems of noise interference – it may sound too stupidly simple but environmental noise pollution can hinder clear communication. In such circumstances, it is essential that the sender and receiver are both concentrating on the messages being sent to each other. Problems of personal attitude – focusing only on ourselves and our personal feelings can seriously hinder communication. This can take the form of defensiveness, superiority or just plain ego. Problems of environment – similar to noise, bright lights, unusual sights, other stimuli or even attractive people nearby can provide unwelcome distractions which interfere with the effectiveness of the communication process. Problems of the message – this occurs when people focus on the facts, instead of the ideas behind the message. It can also happen when words are not used in the ways we are used to. Problems of stress – people’s behaviour and attitudes can change drastically when they are under stress and what they may receive in one way when calm and content may be completely different when they are under pressure. In addition to these barriers, there are also “filters” which can also affect the meaning and interpretation of a message. In many instances, non-verbal behaviours can help to improve channels of communication and overcome some of the barriers. One of the best ways to do this is by eye contact: this signals interest in others and will increase your credibility, as well as improving the flow of communication. Facial expressions are also powerful cues for transmitting messages – for example, smiling generally encourages people to react more favourable and to want to listen to you more. Gestures are another way to improve communication – not only do they help to clarify what you are saying (eg, pointing, indicating, mimicking) but they also hep make your message more interesting and therefore capture the listener’s attention. Body postures can express a great deal – you communicate more than you realise by the way you talk and move, so use these non-verbal indicators to your advantage. For example, leaning forward communicates interest and approachability to others, whereas speaking with your body faced away indicates a lack of respect or interest in the other person. Finally, don’t forget the importance of listening in communication – remember, communication is about the ‘exchange’ of ideas and information. 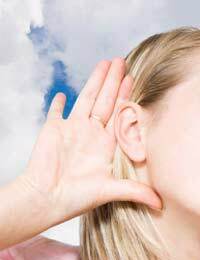 Active listening and feedback is one of the best way of overcoming the barriers to communication.